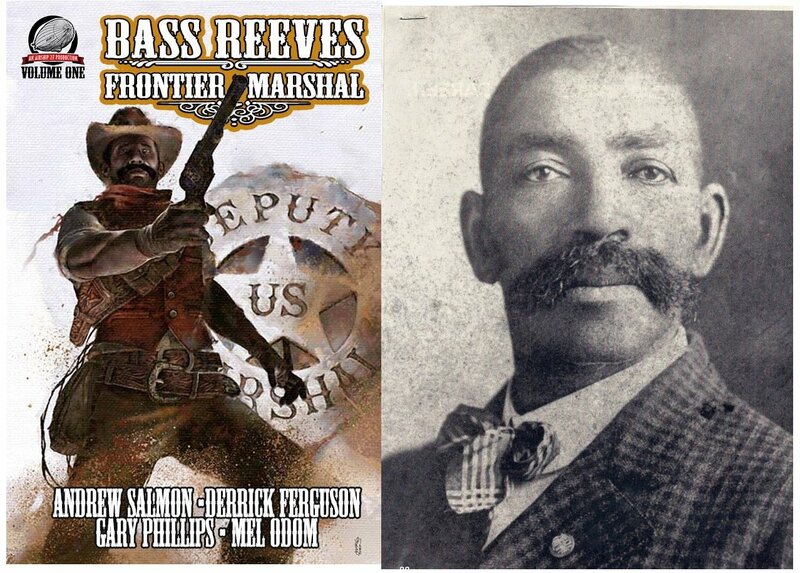 Airship 27 Productions proudly presents BASS REEVES – FRONTIER LAWMAN, a fictional anthology inspired by the life of a real Oklahoma U.S. Deputy Marshal. He began his life as a slave. During the Civil War he escaped and lived among the Indians of the Five Civilized Tribes in the Oklahoma Territories. He learned to ride, shoot and track prey from his adopted people. When the war ended, he was recruited as one of the first black deputy marshals in the history of the west. In a thirty year career, operating under the authority of Judge Parker out of Fort Smith, he captured over three thousand outlaws, was involved in fourteen major gun battles and never wounded once. At the ended of his career, he became a Deputy Sheriff in Tuskegee until his death at the age of 70. He is considered the greatest western lawman that ever lived. 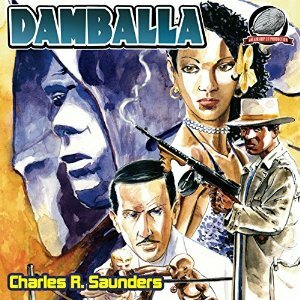 Now writers Gary Phillips, Mel Odom, Andrew Salmon and Derrick Ferguson have whipped up four action packed adventures inspired by this legendary figure. Tales of a wild frontier where outlaws and renegades roamed freely until the coming of one amazing man who wore a badge and vowed to bring justice to one and all. He was Bass Reeves – Frontier Marshal. And so the project began with Fortier reading each entry and then assigning it to an artist to illustrate. Each tale features one black and white illustration. Ramos acted as his assistant editor proofing teach story after Fortier with them. Then, months into the project, Ramos, who suffers from diabetes, found his own health in jeopardy and after having handled half the stories, was forced to sideline himself. What looked to be a major set-back was averted with writer/editor Todd Jones, a protégé of Fortier’s, volunteered to take on the task of finishing the proofing. And so, after months of ups and downs. Airship 27 Productions is extremely proudly to present LEGENDS OF NEW PULP FICTION. 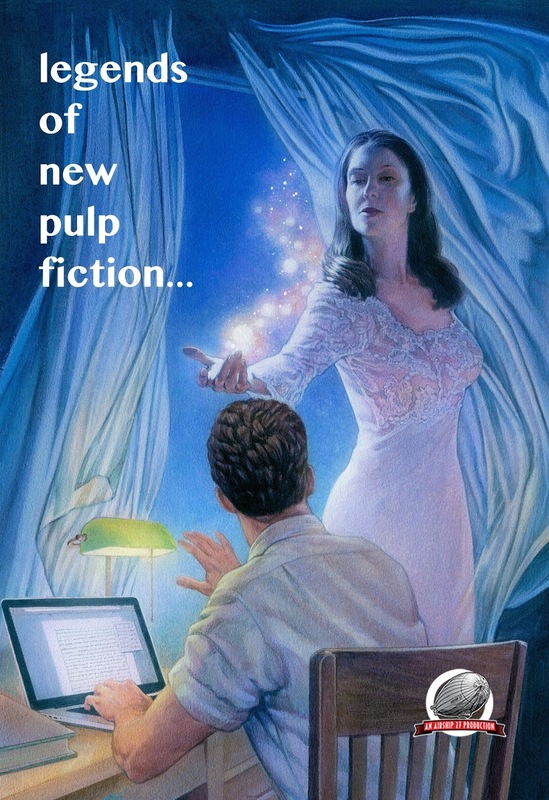 A giant treasure chest of some of the finest New Pulp fiction ever produced in an 830 page collection. Representing the varied genres of pulp tradition, this volume features tales of horror, mystery, horror, suspense, pirates, fantasy, private eyes, crime-busting avengers and westerns to name a few. Just in time for Christmas, Airship 27 Productions and Radio Archives announce the release of two more pulp audio adventures. And our second Sherlock Holmes title to come to audio, Gary Lovisi’s SHERLOCK HOLMES – THE BARON’S REVENGE, read by George Kuch. Dateline 1938. Hitler and the Nazis have begun their plans to conquer the world. 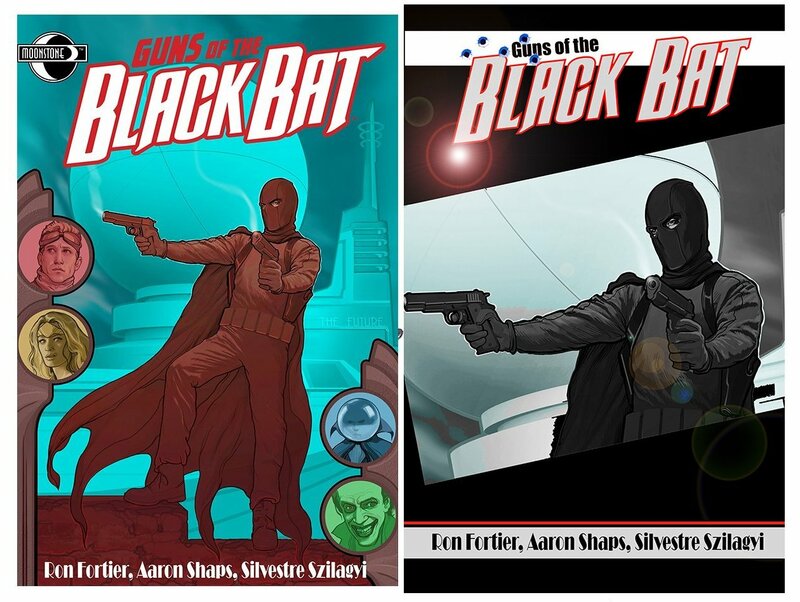 In the states, the crimefighter known as the Black Bat encounters German spies exhibiting strange, unworldly powers. Have aliens infiltrated the Third Reich and is the threat to mankind greater than imagined? Hurriedly the Bat assembles a team of specialists to help him confront this unknown foe: Airboy, Domino Lady, Moon Man, Golden Amazon, and more! They will become known as The Guns of the Black Bat. 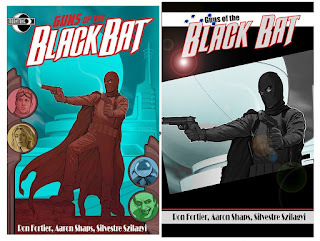 ***RETAILER INCENTIVE: If you purchase 4 or more copies of Guns of the Black Bat #1, you will receive 1 FREE variant issue! SHERLOCK HOLMES – SECRETS OF THE DEAD by Jack Beddows and read by George Kuch. Will be reading all of Airship 27 Productions’ Sherlock Holmes books. WEIRD HORROR TALES Vol One by Michael Vance and read by Chase Johnson. Johnson will be reading all three books in this series by the Horror Master, Michael Vance. BIKER by Mike Baron as read Josh Harrison. The creator of NEXUS and BADGER offers up a gritty, action packed crime thriller you do not want to miss.